Pucara Healthcare is a fully integrated solution for the mobile and hospital-based professional. Pucara enables community medical and mental healthcare workers, general practitioners and hospital-based staff to manage their patient visits and securely send and retrieve patient information. Studies indicate savings of one hour or more per day for each staff member. Pucara enables the modern healthcare worker to securely carry patient information with them wherever the patient resides – in hospital, a care home or their own home. This in turn enables pre- and post operative patient monitoring, thereby releasing hospital resources and reducing operation waiting times. Pucara enables the healthcare professional to capture images and vital signs data at point of care, via connected wireless devices. This includes, but is not limited to, blood pressure, heart rate, temperature, blood oxygen levels and blood sugar levels. 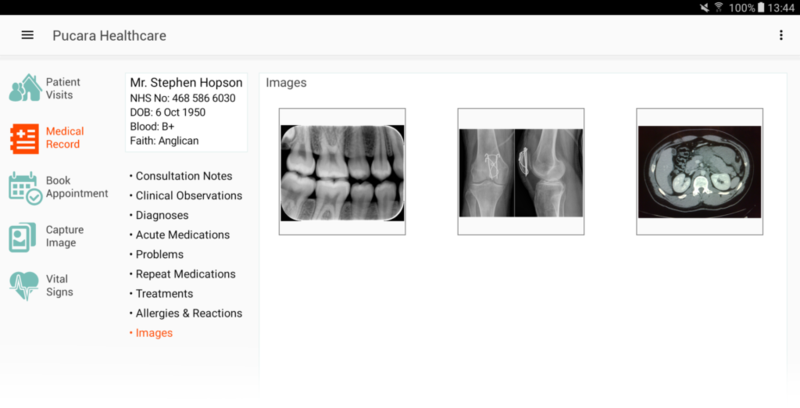 Pucara also enables digital form-filling as well as the capture of a patient’s signature and setting appointment dates. Pucara enables notes, images and vital signs to be captured and immediately synchronised with backend systems. Conversely, existing patient records can be downloaded to the mobile device. Mobile SMS confirmations and reminders are easily integrated. The ability to supplement patient information with data captured from connected devices minimises manual data entry and improves data quality. Pucara supports both online and offline operation. In Online Mode, absolutely NO DATA is stored on the device, and all transmissions are encrypted with SSL/TLS. In Offline Mode, all patient data stored on the device is encrypted with AES-256. Pucara integrates with existing systems using modern Web Services APIs or special connectors for legacy systems. Pucara is supported on Android, Apple and Microsoft platforms. Unlike other solutions on the market, Pucara is not a collection of different applications. Everything needed by a healthcare professional is displayed on a single screen. Pucara’s core technology enables new application features to be added after Pucara has been deployed in the field, instantly and without a costly rewrite of the application. If you would like to see Pucara in action, please email us directly at pucarahealthcare@univirtua.com and a member of our team will be in contact with you shortly.